Upon the opening of M. C. Muir's latest work The Unfortunate Isles, it is satisfying to find the storyline swims neatly back into place, following directly on from the previous story, Admiralty Orders. The acerbic Captain Oliver Quintrell, a man bound to British Naval life and unwavering in his duty, and the Perpetual's crew have been cooling their heels far too long in the mild waters off Gibraltar. The captain is under orders, to sail on to the infant colony of Van Diemen's Land, in Nouvelle Hollande, in the Southern Hemisphere. Gibraltar has been disastrous in so many ways and a burst of the open sea is just what he and his crew need to shrug off the languor brought about by circumstances beyond anyone's control. Death and disease does not have a master. Perpetual is handicapped. Too much time spent in warm waters has allowed vigorous growth of weed and barnacle to slow down the frigate's gait. But there is more. A secret has been kept from the captain. What will he do when a discovery is made? What further misfortune will the opening of this Pandora's-box bring? Will the black dog linger, or will the captain's morose mood lift? Careening Perpetual on an isolated shore brings more danger, misfortune - and horror - to the ship and its crew than anyone could imagine. The chapters flow, with cliff-hanger after cliff-hanger. How will the dastardly Captain Fredrik van Zetten be brought to justice? Oliver had him dancing at the end of a sword once, but perhaps upon reflection the act-of-a-gentleman was too lenient for this scoundrel. So who would bring this slippery rogue undone! Is he brought to justice? There is mayhem aplenty, with blood and gore spilling freely out onto the decks as men fight for their King and their country; for honour - and for their lives. It was pleasing to find aspects of earlier stories were brought full-circle, drawing on recollections of previous episodes that have remained unanswered until now. The fate of those aboard the Adelina, for example, when Captain Quintrell and his then ship, Elusive, fell upon her and her ghastly cargo languishing in an obscure waterway in The Tainted Prize. There are references back to the earlier Floating Gold, references that are familiar to those who have been following the series along from the outset. Some of the old characters remain. There are surprising losses, and the reader holds out for the recovery of a mainstay character who is in dire straits. New ones have been brought aboard and some of their stories are yet to unfold. The author draws the reader deep into the heart of each scene, with consistent attention to the finest detail, from the aromas, sights and sounds in the land and sea settings, to the set of the sails, the lay of the ropes, the twists of the knots, the boom of the cannon on the vessels encountered on the high sea. No description is taboo. The Unfortunate Isles is the fourth in the Under Admiralty Orders - The Oliver Quintrell Series, following on from Floating Gold; The Tainted Prize; and Admiralty Orders. At its conclusion the reader's appetite is whetted for more. 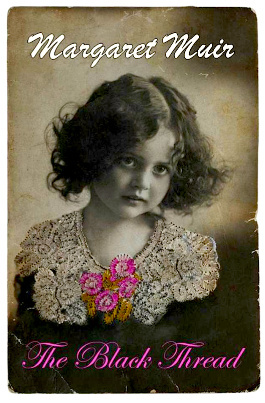 Author Margaret Muir. Photo courtesy Margaret Muir. With an irrepressible love of the sea and tall ships, and inspired by the likes of C S Forester, Margaret Muir has opted to write her seafaring tales under the nom-de-plume M C Muir. 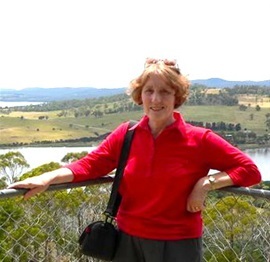 In the Age-of-Sail genre, she has settled into a perfect writing niche for herself having launched the third novel in the Oliver Quintrell series, Admiralty Orders, which follows on from Floating Gold and The Tainted Prize. But there's far more to the author than just these recent novels. Having been brought up in Leeds, Yorkshire, UK, Margaret had her inner-writing-eye on other waters, the dark canals that cut through the countryside of her homeland, taking goods along the waterways from the linen mills to the seaports, or vice versa, bringing various goods back along the narrow stretches to the towns dotted alongside the banks and tow paths. However, it was in Australia that the author's true writing vocation began to emerge and flourish. Although her early works were written here, they initially found themselves going out to the reading public predominantly in the UK via the Robert Hale publishing house, London. 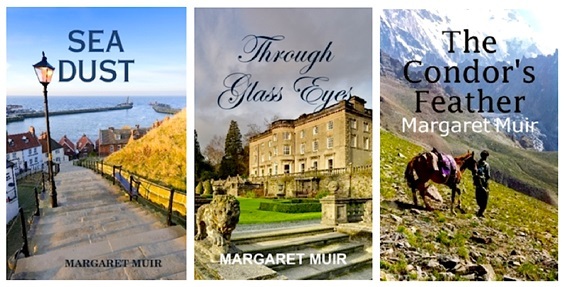 In recent times, though, with her copyright restored to her possession, Margaret has really taken a mighyy leap forward, with the conversion of her original stories to e-books, now available for download via Amazon.